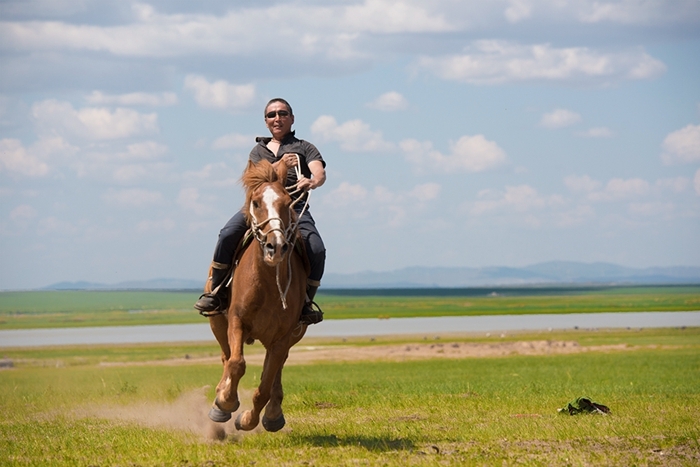 March on the trails of Genghis Khan and spend 4 days hiking and horse riding in the vast grasslands of Inner Mongolia. 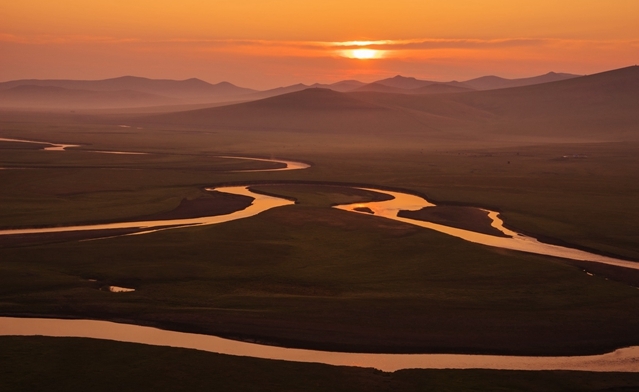 You can walk alongside the Ergun river and watch the sunset over the hills from your Mongolian tent. You will be picked up at 9:00am in the airport. 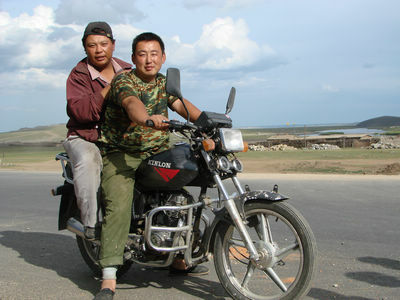 It will take us about 1.5 hours’ drive to the most beautiful part of the Grassland Called Mori Gele Grassland. 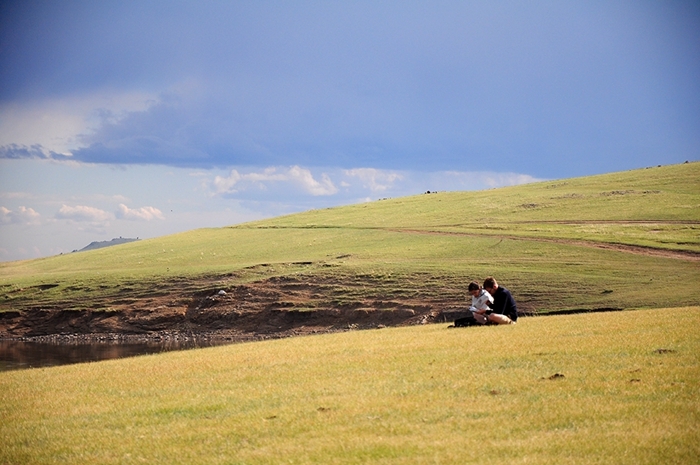 At the grassland, we will stretch our legs and go for a relaxed walk for about 1,5 hour. 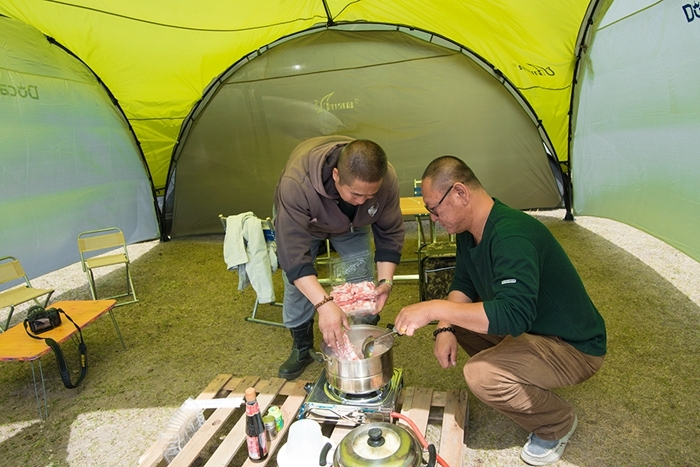 We’ll enjoy a good local lunch on the grasslands and hike for a good 15km through the Inner Mongolia Grasslands. 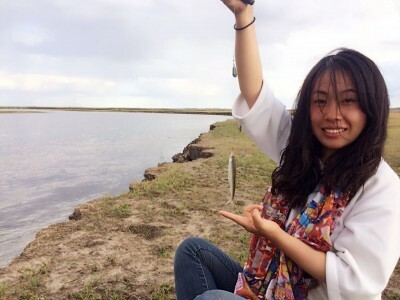 By dinner time, we will reach the beautiful winding Mori Gele river. 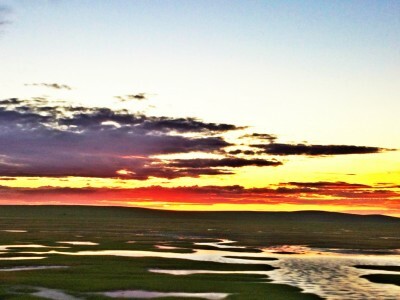 We’ll enjoy a typical Mongolian dinner and sip the famous milk tea while watching the sunset. 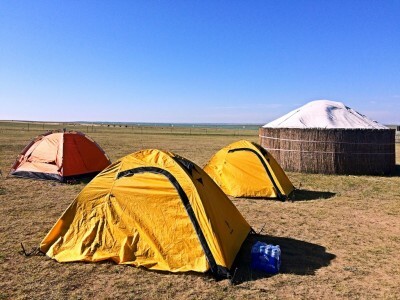 At night, we sleep in the Mongolia Tents, it will be a surprisingly interesting experience. 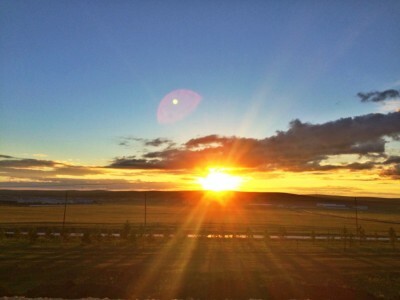 Getting up early is a must in the next morning, because the sunrise is particularly beautiful here. 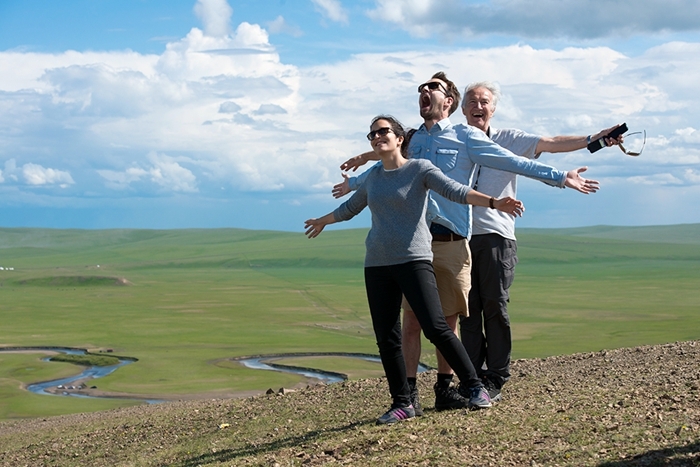 We drive 170 km to the famous XiGuzhuer Grassland. It’s a beautiful country side drive. 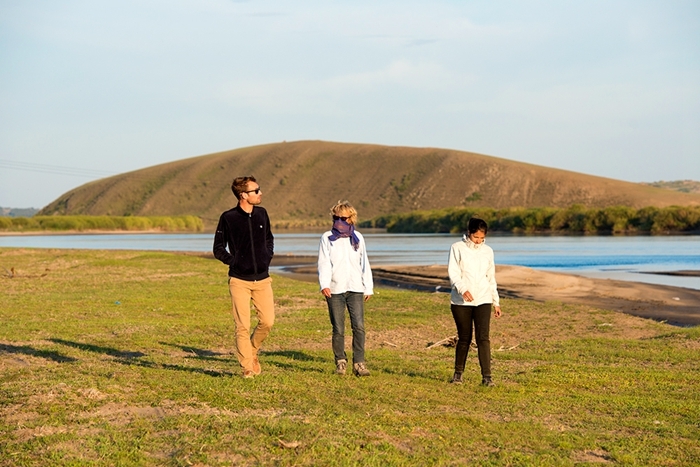 We will drive pass the Ergun river that is next to the China and Russian border. 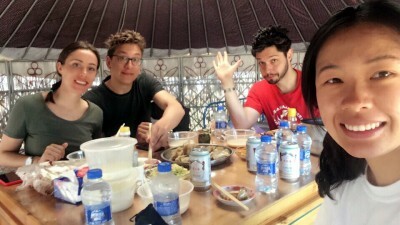 By lunch time, we will arrive at our good local friends’ place and have a big lunch in the Mongolian tents. 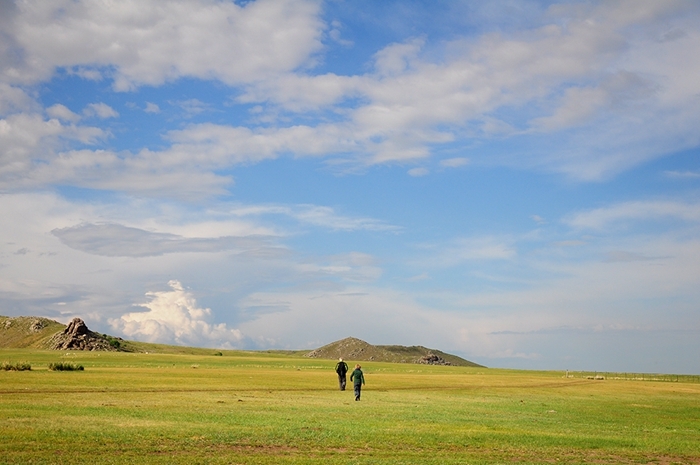 After lunch, we hike over the hills and walk through grass to the vast Inner Mongolian plains, the Xiguzhuer Grasslands. 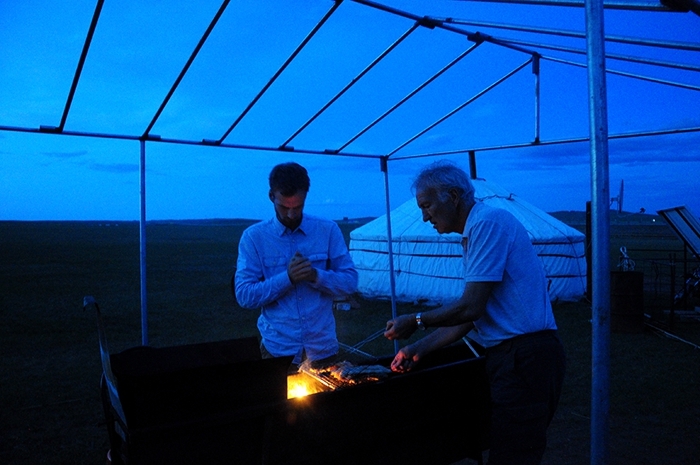 Just like the night before, we will have dinner and stay overnight in the yurts. 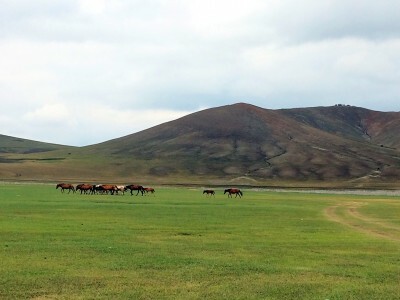 In the morning, you will have the chance to ride some beautiful Mongolian horses before we continue our hike towards DaqingShan, a holy mountain and tomb of Genghis Kahn’s first wife. 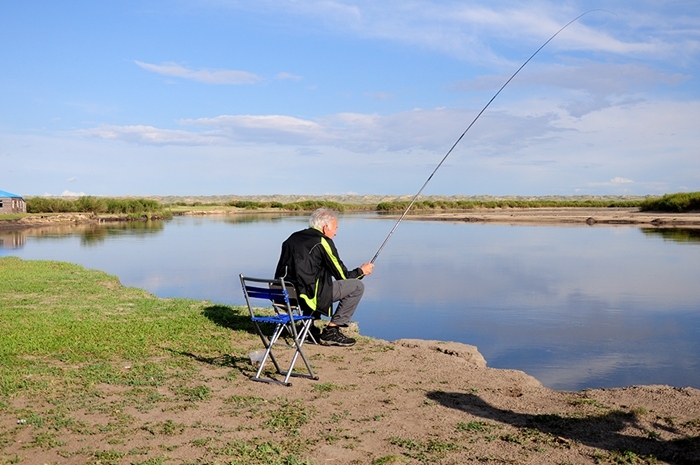 Then we will do some fishing in the nearby river, and we can have some BBQ fish for dinner if we are lucky enough. 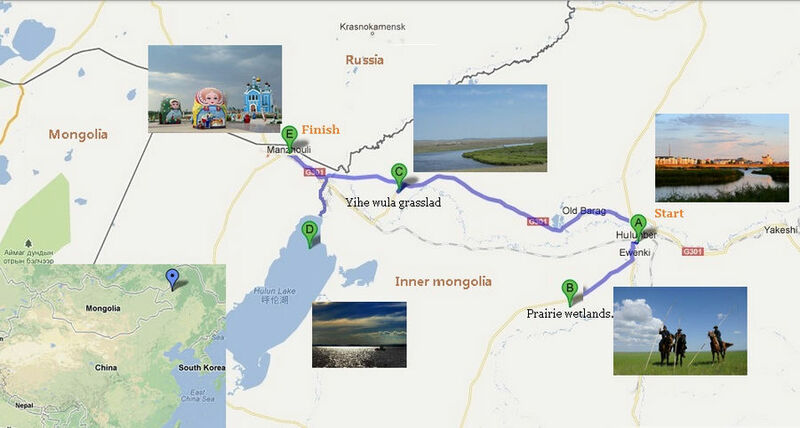 We will enjoy an early breakfast and then head to the border city which is called Manzhouli at 7am. 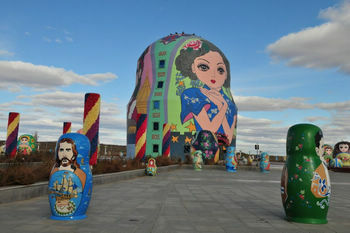 The drive to Manzhouli is about 1,5 hours, but we will take a 45-minute stop to visit the Doll Square, an interesting tourist spot to spend some time. At 9:30, we will arrive at the Manzhouli airport and check in for our 10:50am flight to Beijing. 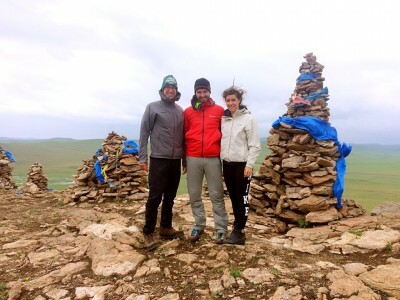 If you take a plane, we will meet you at the airport in Hailar in the morning. 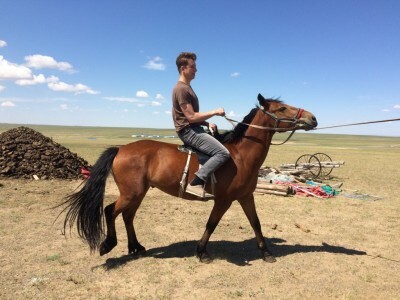 I was born and grew up on the prairies of Hulunbuir. My parents and relatives are herdsmen, and they are still living there. 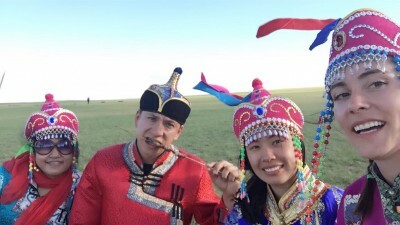 There was a legend about the name of this place, and it goes like this: a beautiful young couple, one was called Hulun and the other person was called Buir. To protect this prairie, they fought with a monster. 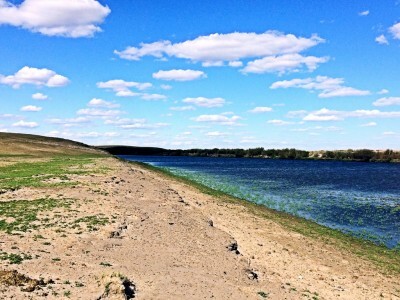 In the end, they saved the prairie from the monster but both turned into two lakes named Hulun and Buir. 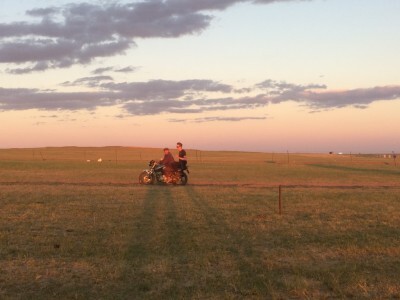 Thus, the prairie got its name. Today these grasslands are not quite the same as the way I remembered from my childhood. 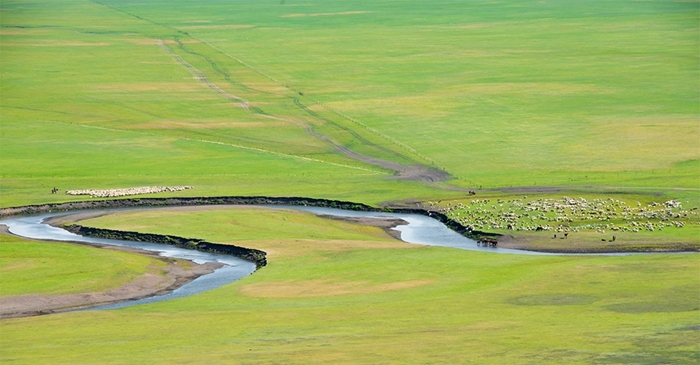 There were no public roads, no tourists, just a vast area with herdsmen and their flocks. 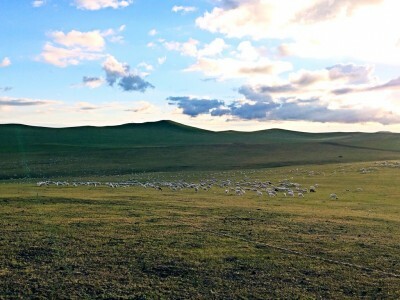 Every year the local families moved to a new area to change pastures for their flocks. Public roads have brought many changes. 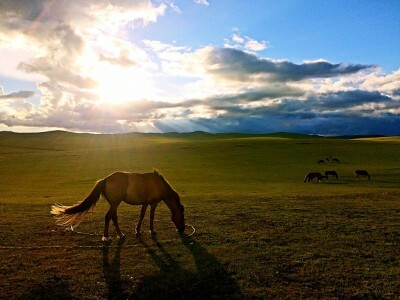 Every summer more tourists are attracted to what are still known as the most beautiful grasslands in China, and are the origin of the Mongolian people. 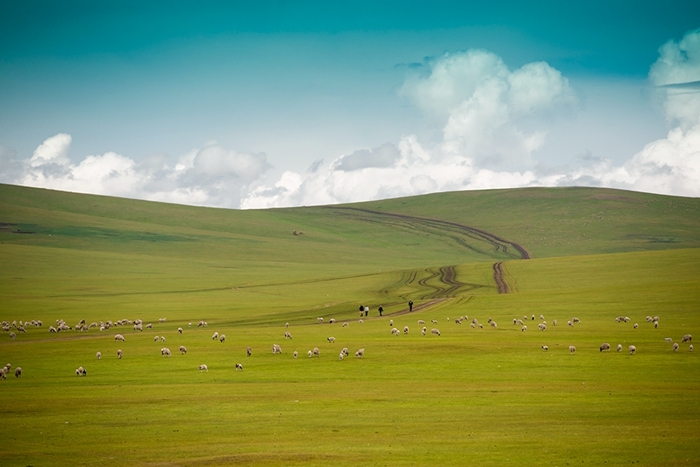 Hulunbuir has a hundred thousand square kilometers, which 80% is still natural pasture. The climate is generally cooler than most part of China, with only two months of summer. 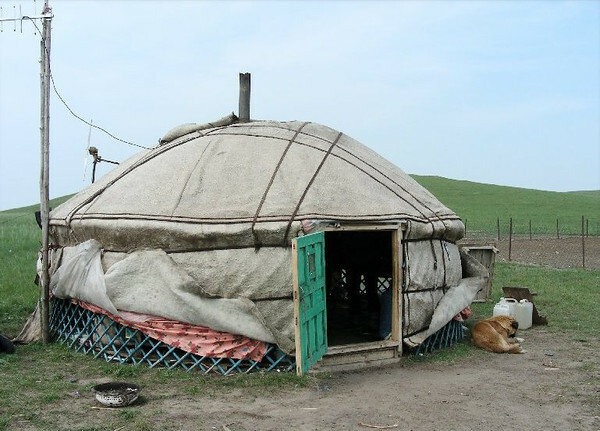 The nomadic herdsmen mostly grow potatoes and a few simple vegetables. 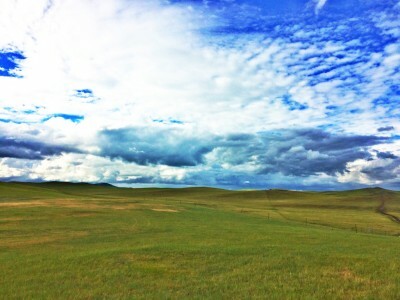 Cycle around in the endless grasslands of Inner Mongolia. 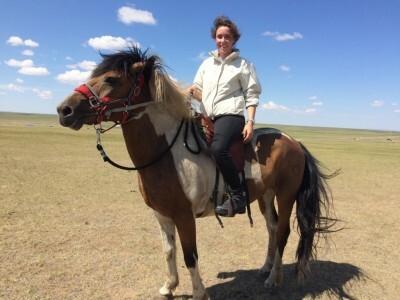 On this Crossroads of Siberia, Mongolia and China, there are wild dear, wolves, eagles, camels and horses still rule in this area. 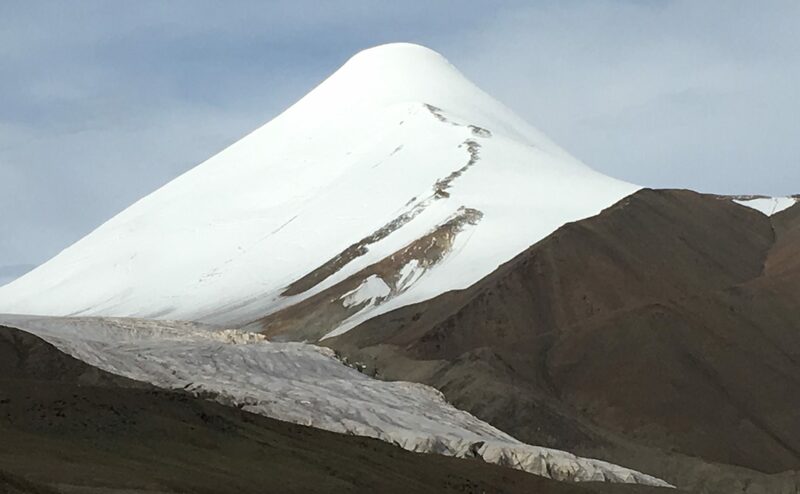 This is a trip where we can breathe the fresh air while we camp in the woods or on the riverbanks and walk in the footsteps of Chengis Khan. 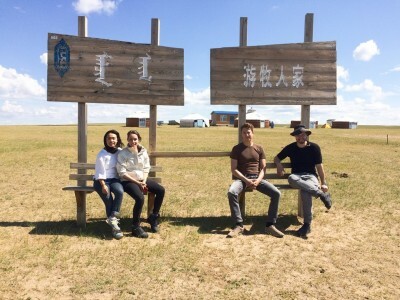 Xin Gang and I picked up Arwed, Lina and Felix at 8:30am at their hotel in Hailar. 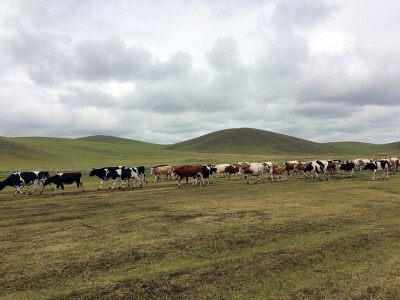 Xin Gang told us that this year the grassland was affected by the drought and the grass may not be that green and tall, so the past days had been great weather for the grass since it had been raining. Today, we could feel that the rain may drop anytime, but it didn't really dissapointed us, we were all super excited to head to the grassland. 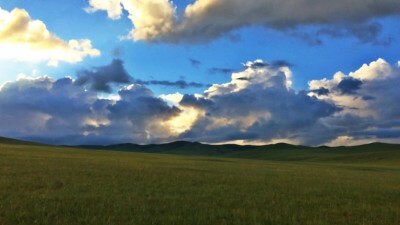 We drove about 1 hour and reached at the Mori Gele grassland. 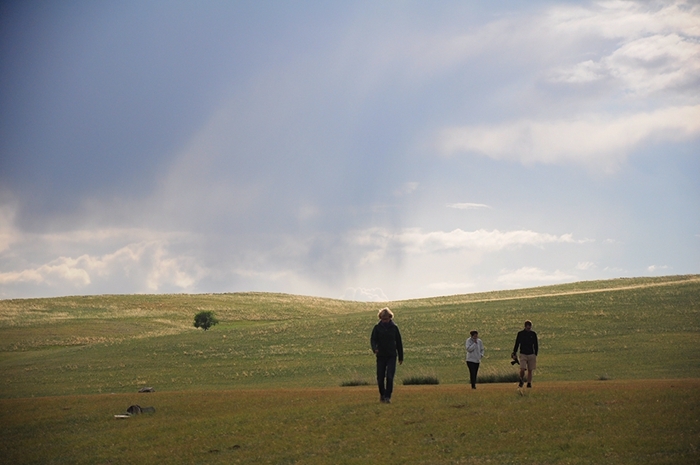 We took the walk in the borderless and beautiful grassland. 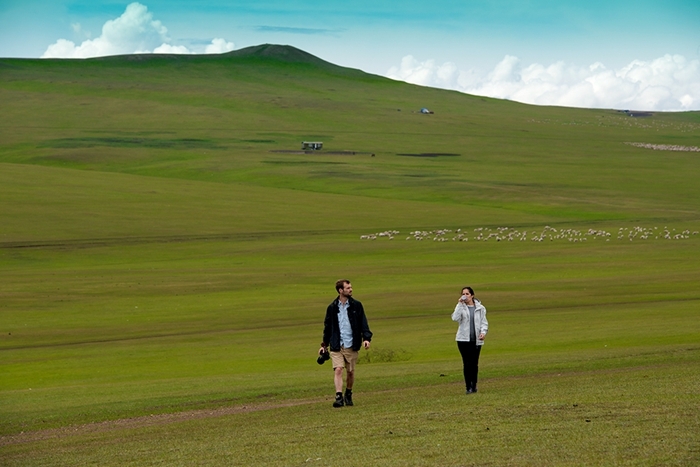 There were horses, cows and sheep running wild in the grassland. We could tell the grass was not that fully grow but it was still pretty. We walked about 2 hours and got to know each other a bit. 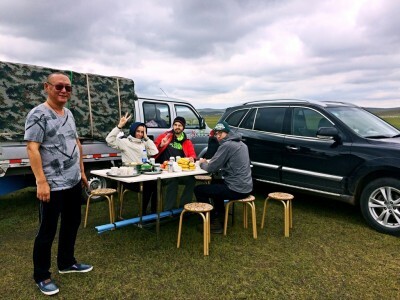 At lunch time, we arrived the Ergun river and saw our portable kitchen with Shushu and Shenshen. Shenshen made the most delicious Zhajiangmian. 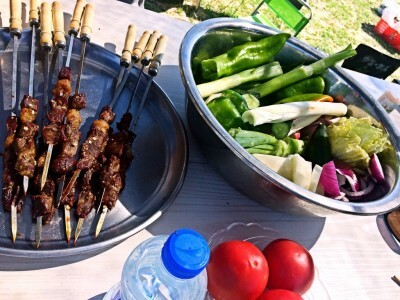 We also tasted different side dishes and the vegetables were all so fresh. 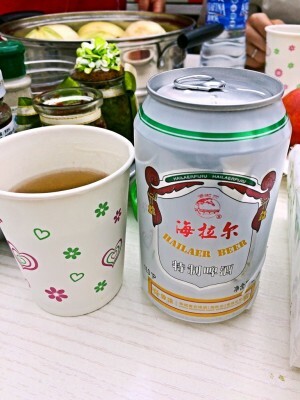 Even the Hailar beer was tasty!! Dessert was fruits and sunflower seeds! Arwed, Lina and Felix have mastered the skills of eating sunflower seeds! After a small break, we drove on top of a small hill and saw aobao. 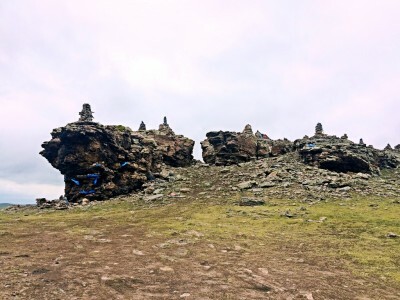 It was mainly piled up by stones or sand soil, and sometimes you can see aobao made by tree branches as well. 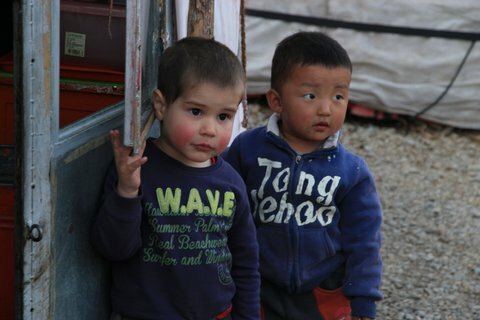 They were everywhere in Mongolia. They were used as signs for roads and borders, nowadays they have become a ritual symbol for legend of mountain and road, harvest and happiness. Then we went to the spot where the movie, Xunlongjue was shot. 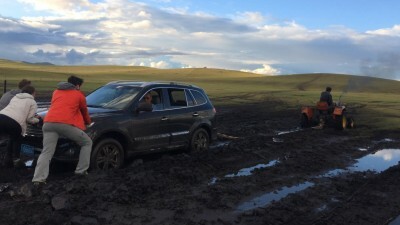 Then our car got stuck in the mud. 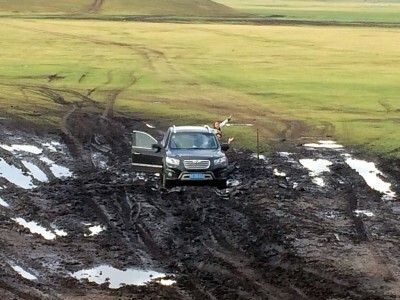 Firstly, Xin Gang tried to use stones to pave the way. 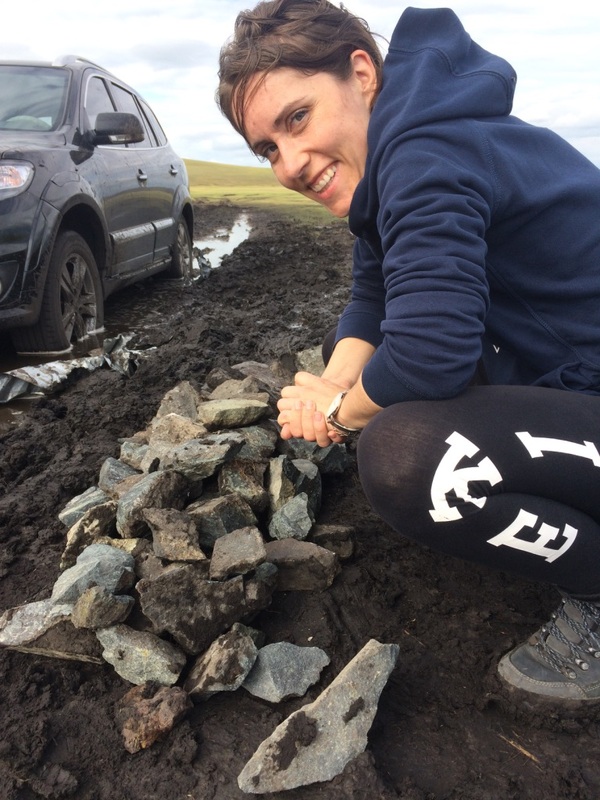 We all got off the car and started to collect stones. Then Xin Gang went to ask for help. In the meanwhile, four of us joked about this black hole. 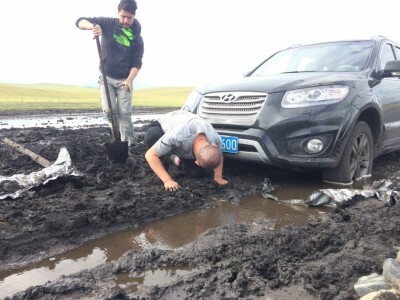 After an hour, Xingang came back with only a shovel. Shoveled the mud out and paved with stones again. Around 7pm, Xin Gang went to call for help again. The rest of us started to entertain ourselves again. We also tried to stop cars for help. But no hope. 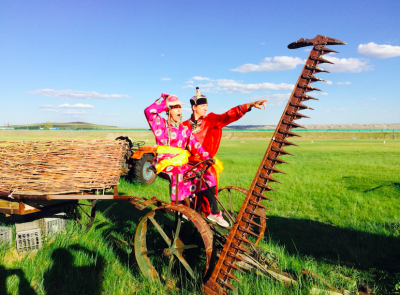 Finally, Xin Gang came back with the smallest tractor with the rope. We tried several times, and the car was pulled out!! We were exhausted and starving, but we certainly did laugh a lot. Great teamwork and good bonding experience. 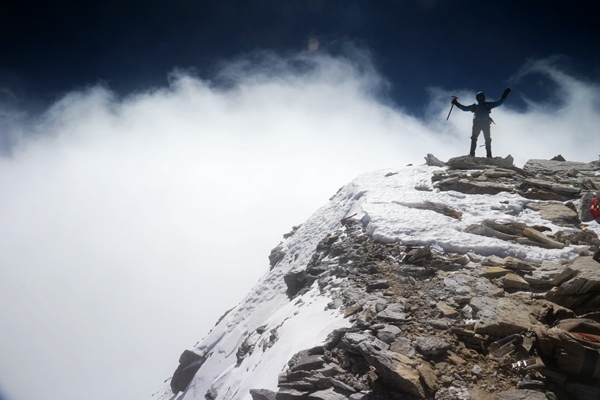 How can you call it adventure if nothing unexpected happened? Around 9pm, we made it to the campsite. 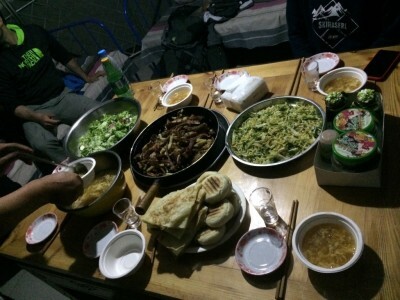 Dinner was lamb, Chinese pies and different dishes. Our first day's adventure ends with jokes and laughs. Day 2, the weather was just perfect. 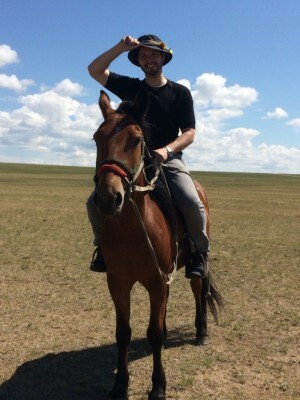 After a bit late breakfast, we did the horse riding. 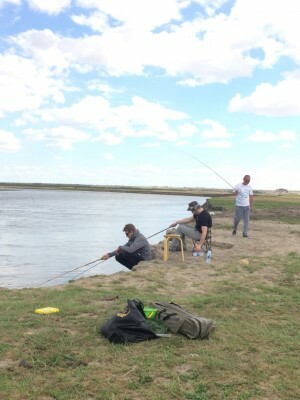 In the noon, we packed our snacks and headed to the fishing place. 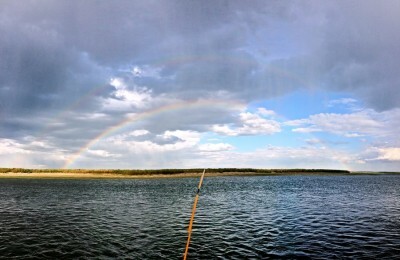 When we were fishing, the rain dropped whenever a dark cloud passed by. So we could constantly see rainbow. 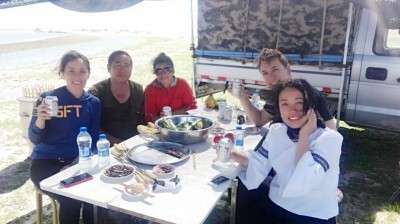 After Felix and Lina went back to the Mongolian tent to rest, I joined the fishing team with Xin Gang and Arwed. 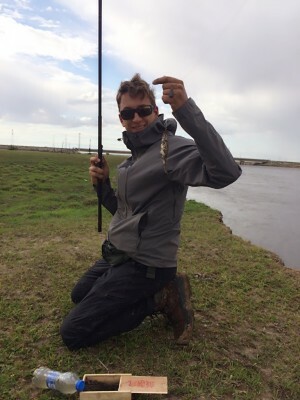 I finally caught a small fish after 2.5 hours' struggle. 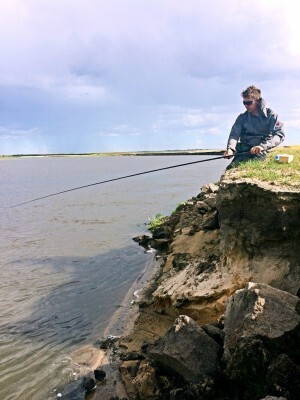 A decent fish with a decent size. We discovered a small desert next to the fishing spot. 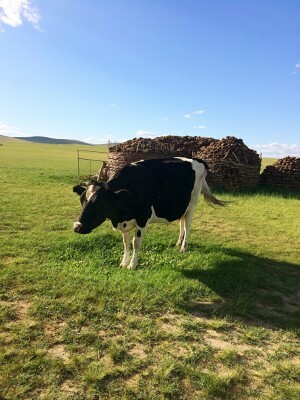 Yes, where is the grass in the grassland? 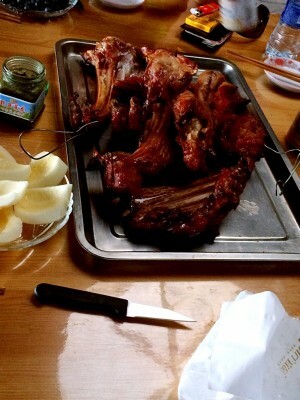 For dinner, Shushu and Shenshen prepared us the most delicious lamb. Each bite, you realized how beautiful life was. 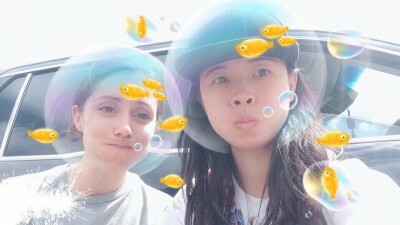 We went to Daqingshan on the third day morning. The view was still beautiful but the desertification has become serious. It was superrrrr windy on the top. Local people come here to carry on spiritual ceremony. 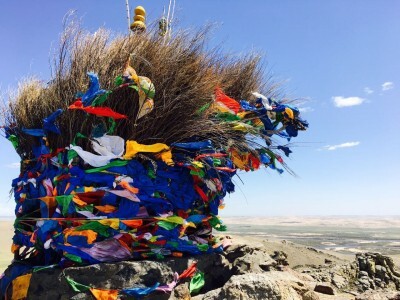 We were told that women were not allowed to pray on top of this mountain during the ceremony, so they tie hada on the fences on the bottom to pray for a good year. It was said that this is the stone tomb of Genghis Khan's wife Borte. 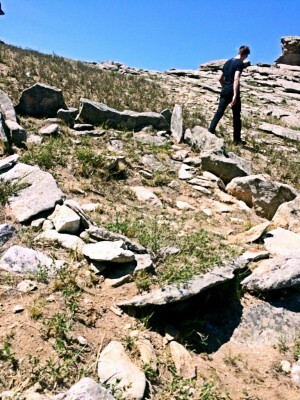 If Borte's tomb is on top of this mountain, why can't other women pray here? 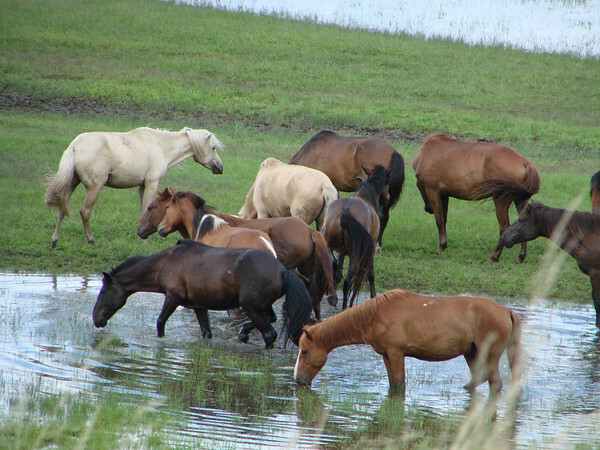 we witnessed the horses doing sand bathing. 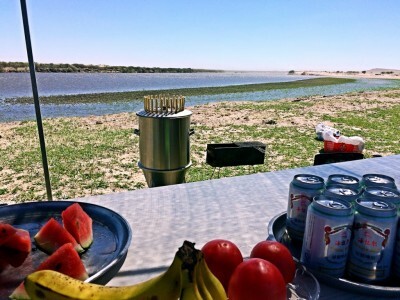 For lunch, we headed to the riverbank and had barbecue there. 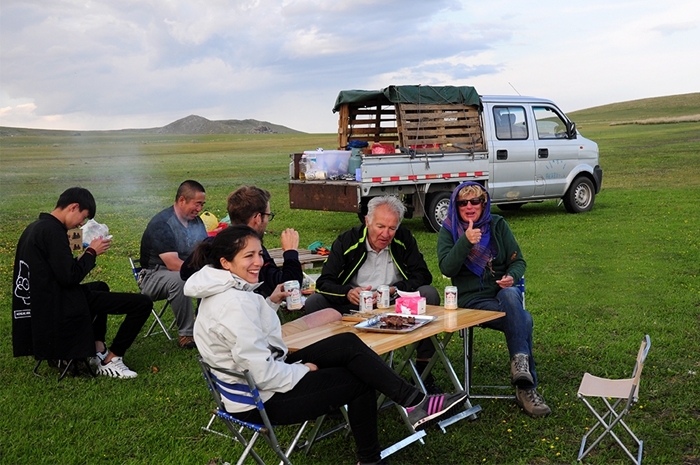 Our rich and healthy lunch in the grassland. and tasted all kinds of milk products. 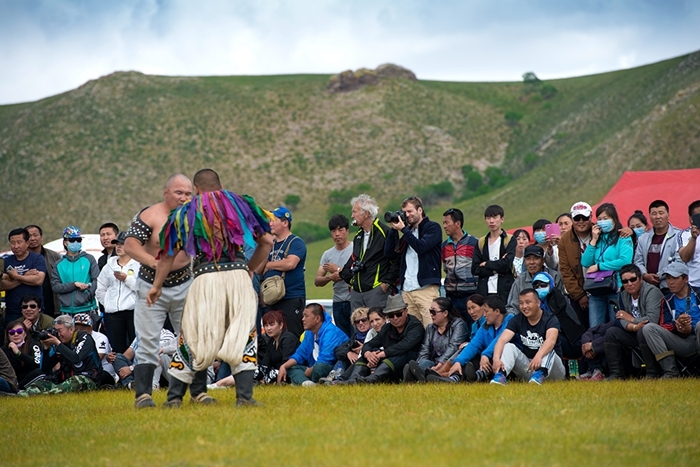 Later on, we all tried Mongolian costumes to take photos. 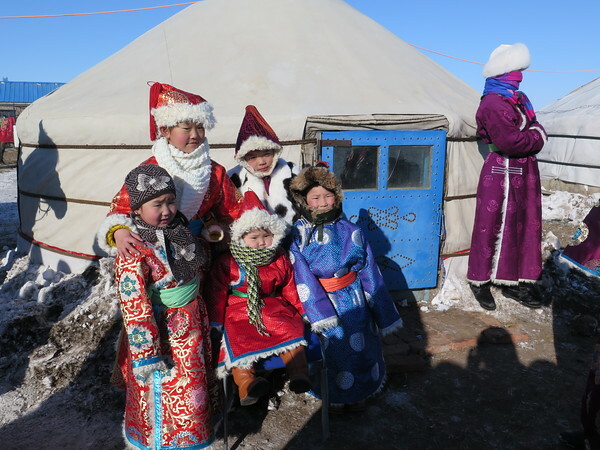 and we even feel like Mongolian too! 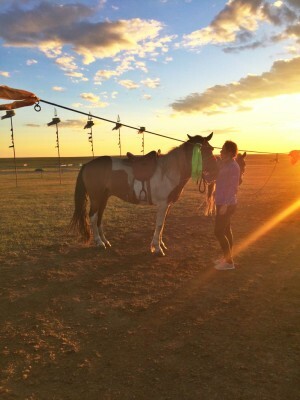 After a quick dinner back at our camp spot, we had a nice walk and enjoyed the sunset with the beautiful horses. In the morning, we realized how fast these days had passed. How much fun we all had together. For breakfast, Shenshen prepared handmade dumplines. She said, eating dumplings symbolizes the next reunion. 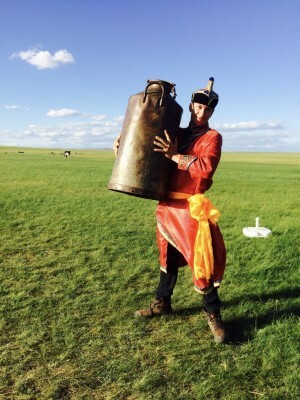 Well, making dumplings in the grassland was something very unique. we said bye to the horses and took some crazy pictures. 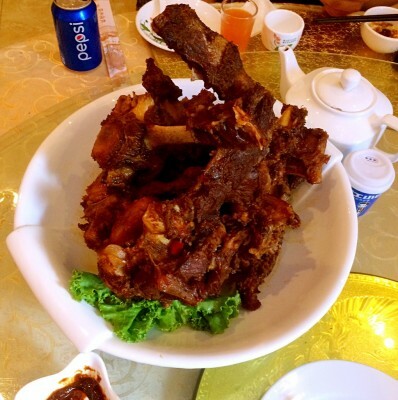 Dear beef and mutton, we will miss you! Our camp spot, we will miss you! Our portable kitchen, we will miss you! Today, we could feel that the rain may drop anytime, but it didn’t really dissapointed us, we were all super excited to head to the grassland. Our first day’s adventure ends with jokes and laughs. 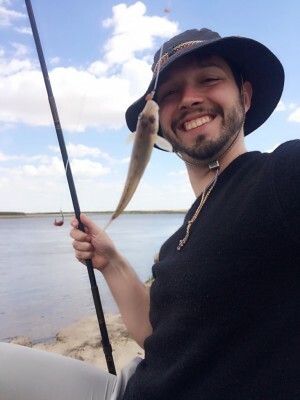 I finally caught a small fish after 2.5 hours’ struggle. 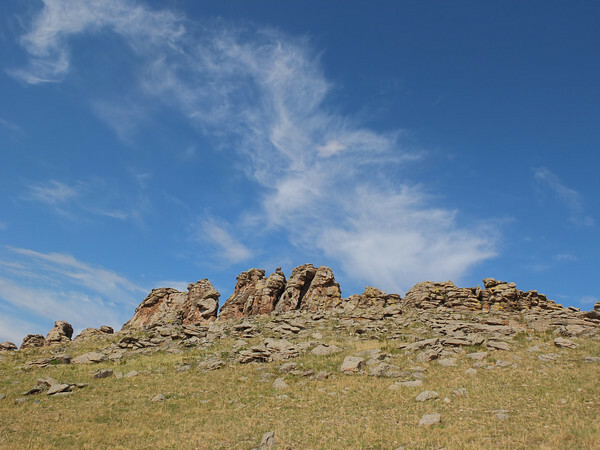 It was said that this is the stone tomb of Genghis Khan’s wife Borte. 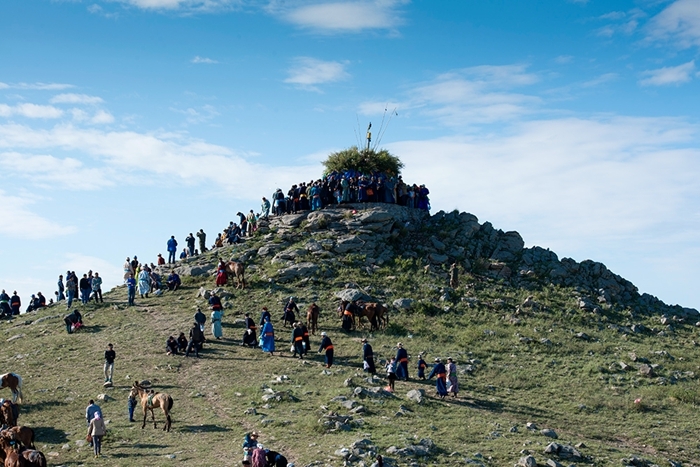 If Borte’s tomb is on top of this mountain, why can’t other women pray here? 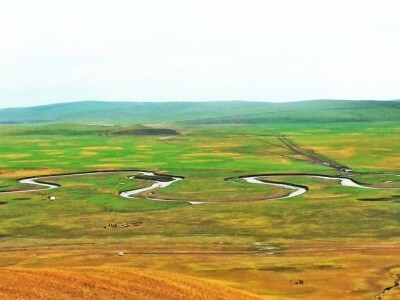 We booked a 4 day trip to the Inner Mongolian Grassland with ChinaHiking. 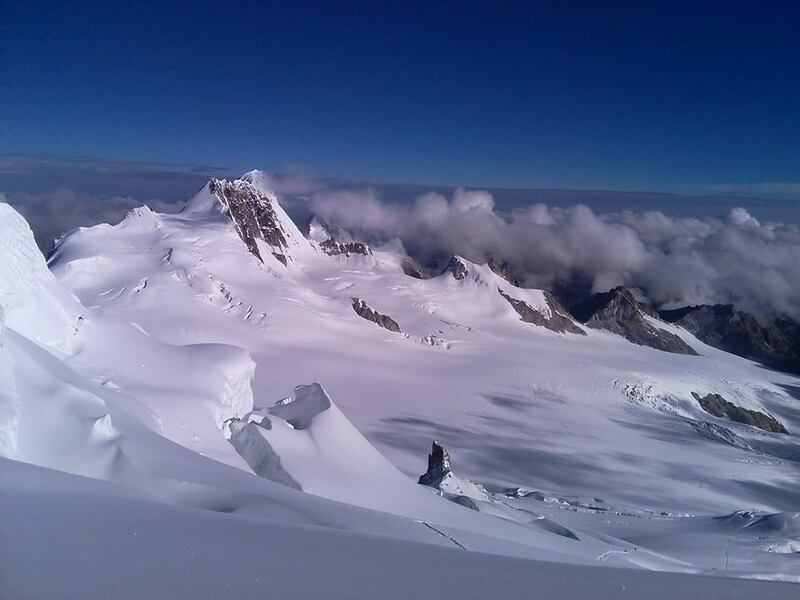 We can highly recommend the trip to all of you who like active holidays combined with culture. 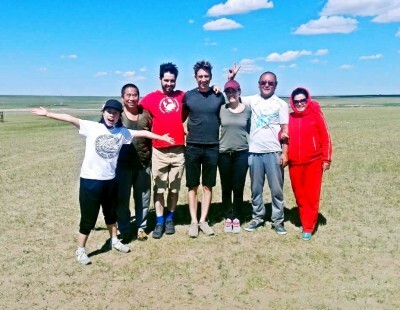 We did horse riding, fishing, went off-road through the Grassland, got to know the lifestyle of the Inner Mongolian people and we ourselves lived in a yurt. Most of all we loved the people who made this trip happen. Really everyone of the team did her or his best. And by the way - the food was delicious. Don't miss this trip!